Mo is most famous for teaming with Mabel in the WWF as Men on a Mission managed by Oscar..
Mabel formed a tag team with Mo, known as Men on a Mission led by a rapping manager named Oscar. May 16, 1992 – Superstars: The Beverly Brothers (Beau Beverly & Blake Beverly) defeated Bobby Knight & Jim Brunzell. May 23, 1993 – Superstars: The Mountie defeated Bobby Knight. January 15, 1993 – PWF: The Harlem Knights (Bobby Knight & Nelson Knight) defeated Killdozer & Star Ryder. January 16, 1993 – PWF: The Harlem Knights (Bobby Knight & Nelson Knight) defeated American GI & Scotty McKeever. January 22, 1993 – PWF: The Harlem Knights (Bobby Knight & Nelson Knight) defeated American GI & Star Ryder. January 23, 1993 – PWF: The Harlem Knights (Bobby Knight & Nelson Knight) defeated Mag Doll & Scotty McKeever. February 12, 1993 – PWF: The Harlem Knights (Bobby Knight & Nelson Knight) defeated American GI & The Italian Stallion. February 13, 1993 – PWF: Italian Stallion defeated Bobby Knight. February 19, 1993 – PWF: The Harlem Knights (Bobby Knight & Nelson Knight) defeated Austin Steele & Super Mario. February 20, 1993 – PWF: Star Ryder & Super Mario defeated The Harlem Knights (Bobby Knight & Nelson Knight). March 15, 1993 – USWA: Harlem Knights (Bobby Knight & Nelson Knight) & Brian Christopher defeated Danny Davis, Jeff Jarrett & Jerry Lawler. Harlem Knights (Bobby Knight & Nelson Knight) defeat Mr. Clyde & Tony Falk. March 23, 1993 – USWA: The Harlem Knights (Bobby Knight & Nelson Knight) defeated Major, Tony Falk & Yates. Danny Davis, Jeff Jarrett & Jerry Lawler defeated Harlem Knights (Bobby Knight & Nelson Knight) & Brian Christopher. April 3, 1993 – USWA: The Harlem Knights (Bobby Knight & Nelson Knight) defeated Jeff Jarrett & Jerry Lawler. April 12, 1993 – USWA: Jeff Jarrett defeated Bobby Knight to retain the Southern heavyweight title. 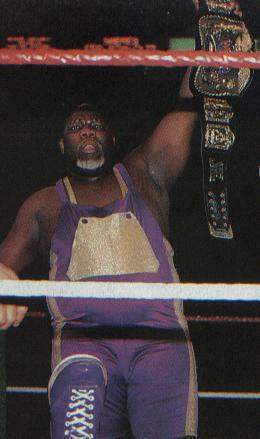 April 13, 1993 – USWA: The Moondogs (Moondog Splat & Moondog Spot) defeated The Harlem Knights (Bobby Knight & Nelson Knight) by disqualification to retain the tag titles. April 17, 1993 – USWA: Jeff Jarrett defeated Bobby Knight to retain the Southern heavyweight title. 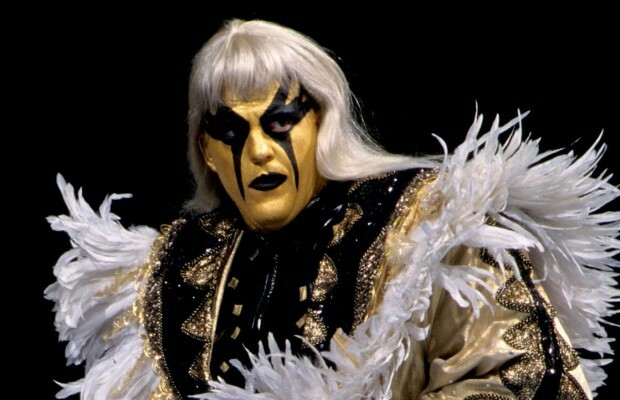 April 19, 1993 – USWA: Moondog Spot defeated Bobby Knight by disqualification. April 27, 1993 – USWA: Bobby Knight defeated Jerry Faith. July 19, 1993 – RAW: Men On A Mission (Mabel and Mo w/Oscar – debut) defeated Rich Myers and Hank Harris. ~~~Mabel and Mo entered with their manager Oscar who would rap while MOM made their entrance to the ring. August 16, 1993 – RAW: Men On A Mission w/Oscar defeated Iron Mike Sharpe and Barry Horowitz. August 29, 1993 – House Show: Mo defeated Steven Dunn. October 25, 1993 – RAW: Men On A Mission w/Oscar defeated Todd Mata and Steve Greenman. November 8, 1993 – RAW: Men On A Mission w/Oscar defeated Corey Student and Steve Smyth. November 24, 1993 – Survivor Series: Four Doinks defeated Bam Bam Bigelow’s Team. ~~~(Team Doink) The Bushwhackers (Luke and Butch) and Men On A Mission (Mabel and Mo w/Oscar). December 20, 1993 – RAW: Men On A Mission w/Oscar defeated Duane Gil and Barry Hardy. January 22, 1994 – Royal Rumble: Mo was in the Royal Rumble match won by Bret Hart. February 28, 1994 – RAW: Men On A Mission w/Oscar defeated The Brooklyn Brawler and Steve Smyth. March 20, 1994 – WrestleMania 10: Men On A Mission w/Oscar defeated The Quebecers w/Johnny Polo by Count-out. ~~~Mabel (from Men on a Mission) accidentally fell on Quebecer Pierre and knocked him out temporarily for the pin. March 30, 1994 – WWF in England: Men On A Mission defeated The Quebecers w/Johnny Polo to retain the Tag Team Titles! April 2, 1994 – House Show: Fatu defeated Mo. April 3, 1994 – House Show: Mo defeated Fatu. April 11, 1994 – RAW: The Quebecers (Pierre and Jacques) defeated Men On A Mission w/Oscar. May 1, 1994 – Wrestling Challenge: Owen Hart defeated Mo by count-out. July 18, 1994 – RAW: Mabel w/Mo and Oscar defeated Austin Steele. August 15, 1994 – RAW: Mabel w/Mo and Oscar defeated Raymond Roy. October 10, 1994 – RAW: Mabel w/Mo and Oscar defeated Reno Riggins. October 24, 1994 – USWA: Mo defeated Spellbinder. October 27, 1994 – House Show: Kwang defeated Mo. November 14, 1994 – RAW: Mabel w/Mo and Oscar defeated The Blue Phantom. November 25, 1994 – House Show: Duke Droese defeated Mo. January 16, 1995 – RAW: Mabel w/Oscar and Mo defeated Lee Toblin. January 22, 1995 – Royal Rumble: Mo was in the Royal Rumble match won by Shawn Michaels. February 6, 1995 – RAW: King Kong Bundy and Irwin R. Schyster and Tatanka beat Lex Luger and Men On A Mission. April 3, 1995 – RAW: Men On A Mission w/Oscar defeated Ben Jordan and Tony Roy. Mabel and Mo would eventually turn heel when they attacked their friends including their manager Oscar. May 1, 1995 – RAW: Men On A Mission defeated Kevin Krueger and Bill Duke. May 14, 1995 – In Your House #1: Mabel w/Mo defeated Adam Bomb in one minute 53 seconds. May 29, 1995 – RAW: Men On A Mission defeated Gary Scott and Aaron Ferguson. June 4, 1995 – Wrestling Challenge: Men on a Mission defeated Aaron Ferguson and Laurice Moralis. June 24, 1995 – Superstars: Men on a Mission defeated Jerry Flynn and Mike McReynolds. June 25, 1995 – King of The Ring: Mabel w/Mo defeated Adam Bomb in a KoTR Qualifying Match. ~~~Mabel w/Mo defeated The Undertaker w/Paul Bearer in the Quarter-final King of the Ring Match. ~~~Mabel received a bye into the finals. Mabel w/Mo defeated Savio Vega to win the King of The Ring! June 26, 1995 – RAW: King Mabel w/Sir Mo defeated Kenny Kendall. June 30, 1995 – House Show: Sir Mo defeated The 1-2-3 Kid. July 23, 1995 – In Your House #2: Men On A Mission defeated Razor Ramon and Savio Vega. August 21, 1995 – RAW: Men On A Mission defeated Roy Raymond and Joe Hanlock. August 27, 1995 – SummerSlam: “Big Daddy Cool” Diesel defeated King Mabel w/Sir Mo to retain the WWE Championship! September 18, 1995 – RAW: Yokozuna and Owen Hart defeated Men On A Mission. September 24, 1995 – In Your House: The Undertaker w/Paul Bearer beat King Mabel w/Sir Mo in a non-televised match. October 22, 1995 – In Your House: Yokozuna vs King Mabel w/Sir Mo fought to a Double Count-out. November 19, 1995 – House Show: Hakushi defeated Sir Mo. November 11, 1995 – House Show: Ahmed Johnson defeated Sir Mo. November 20, 1995 – Survivor Series: The Dark Side defeated The Royals in an Elimination match. ~~~The Dark Side = The Undertaker w/Paul Bearer and Savio Vega and Fatu and Henry O. Godwinn. ~~~The Royals = King Mabel w/Mo and Jerry “The King” Lawler and Isaac Yankem D.D.S. and Hunter Hearst Helmsley. January 1, 1996 – RAW: Diesel defeated King Mabel w/Sir Mo. January 22, 1996 – House Show: Marty Jannetty defeated Sir Mo. Early 1996: Men On A Mission were released from their World Wrestling Federation contracts! December 9, 1995–NEW: Bam Bam Bigelow defeated Mo. February 28, 1996–USWA: Brian Christopher defeated Sir Mo to retain the heavyweight title. March 4, 1996 – USWA: Mabel defeated Mo to qualify for the quarter-finals. March 18, 1996–USWA: Brian Christopher & Isaac Yankem DDS defeated Men On A Mission (King Mabel & Sir Mo). March 25, 1996–USWA: Brian Christopher defeated Sir Mo. Men On A Mission (Mabel & Sir Mo) defeated Brian Christopher & Jerry Lawler in a stretcher match. April 1, 1996–USWA: Men On A Mission (King Mabel & Mo) defeated Brian Christopher & Moondog Spot. April 8, 1996–USWA: Men On A Mission (King Mabel & Mo) & Reggie B. Fine defeated Brian Christopher, Jerry Lawler & Moondog Spot. April 13, 1996–USWA: Brian Christopher & Jesse James Armstrong defeated Reggie B. Fine & Sir Mo. April 15, 1996–USWA: Brian Christopher & Moondogs (Moondog Rex & Moondog Spot) defeated Jesse James Armstrong, King Mabel & Sir Mo. April 17, 1996–USWA: Brian Christopher & Moondog Spot defeated Mabel & Sir Mo. April 21-22, 1996–USWA: The Moondogs (Moondog Rex & Moondog Spot) defeated Men On A Mission (King Mabel & Mo). April 26, 1996–USWA: Brian Christopher & Vader defeated Jeff Jarrett & Sir Mo. May 6, 1996–USWA: Sir Mo defeated Jesse James Armstrong. May 20, 1996–USWA: Brian Christopher defeated Sir Mo in a chain match. June 1, 1996–USWA: Brian Christopher & Doug Gilbert defeated Mabel & Mo in a double chain match. June 4, 1996–USWA: Men On A Mission (Mabel & Mo) defeated Brian Christopher & Doug Gilbert. June 10, 1996–USWA: Mo defeated Bart Sawyer. June 17, 1996–USWA: Doug Gilbert & Tommy Rich defeated Men On A Mission (Mabel & Mo) in the 1st round of the tag team titles tournament. June 18, 1996–USWA: Doug Gilbert defeated Sir Mo. August 28, 1996–USWA: Flash Flanagan & Steven Dunn defeated Mike Samples & Sir Mo to retain the tag titles. December 11, 1996–USWA: Akeem Mohammed, Kareem Olajuwon, Randy X, Sir Mo & Wolfie D defeated Brian Christopher, Brickhouse Brown, Cory Macklin, Dutch Mantel & Jerry Lawler. Flash Flanagan & Steven Dunn defeated Mike Samples & Sir Mo to retain the tag titles. December 26, 1996–USWA: Bill Dundee defeated Sir Mo. December 27, 1996–USWA: Bill Dundee, Brian Christopher, Brickhouse Brown, Jerry Lawler, Mabel & Steven Dunn defeated Akeem Mohammed, Don Bass, Jamie Dundee, Kareem Olajuwon, Sir Mo & Wolfie D.
January 9, 1997–USWA: Flash Flanagan & Steven Dunn defeated Mike Samples & Sir Mo to win the vacant tag titles. January 9, 1997–USWA: Mabel defeated Mo in a lumberjack match. December 25, 1997–MCW: Mo defeated Billy Travis. June 23, 1998–PPW: Ashley Hudson, Bill Dundee, Jimmy Valiant, King Mabel & Moondog Spot defeated BJ Awesome, Koko Ware, Master B, Tony Falk & Tracy Smothers in a anything goes match. March 4, 2000–PPW Memphis TV: The Regulators (Deon Harlem & Rob Harlem) defeated Ali Stevens & Wolfie D.
March 11, 2000–PPW Memphis TV: Ali Stevens, Blade & Moondog Spot defeat Seven & The Regulators (Deon Harlem & Rob Harlem). March 18, 2000–PPW Memphis TV: Ali Stevens vs. Rob Harlem ended in a no contest. March 25, 2000–PPW Memphis TV: Ali Stevens defeated Rob Harlem to retain the PPW heavyweight title. July 4, 2001–MCW: Alan Steel & Rob Harlem defeated Bump ‘n’ Grind (Brian Bump & Timothy Grind). February 14, 2004–Memphis Wrestling: Mo was in a battle royal won by Mabel. March 4, 2006–OVW TV (Taped): Mo defeated Bad News in a dark match. October 7, 2006–C-Pro Entertainment: Alan Steele & Rob Harlem (Almost as big as Mabel) beat Brad Thomas & Bobby Eaton..
March 22, 2014–HLW: Mo defeated Mike King. May 27, 2015–UCW: Narcis Saint & Sir Mo defeated John Graber & Lumberjack Johnson. May 28-31, 2015–UCW: Harry Smith & Sir Mo defeated Forest Cullen & Jason Rumble. July 28-29, 2015–UCW: Mom 2K (Deon Johnson & Sir Mo) defeated Boxcar Boys (Homeless Bob & Sidewalk Sam). July 30, 2015–UCW: Mom 2K (Deon Johnson & Sir Mo) defeated Boxcar Boys (Homeless Bob & Sidewalk Sam) to win the vacant tag titles. October 29, 2016–NAWA: Kenny Steele, Orion Taylor & Sir Mo defeated Doberman, John Famous & Randy Wayne. September 9, 2017–NSW: Holden Albright defeated Bobby Knight.